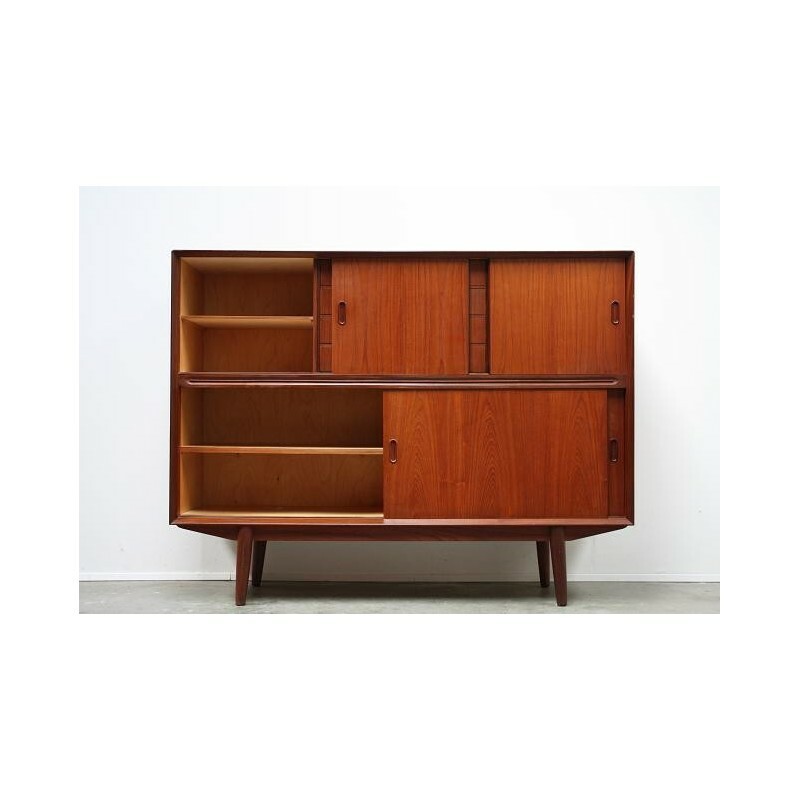 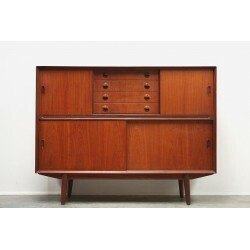 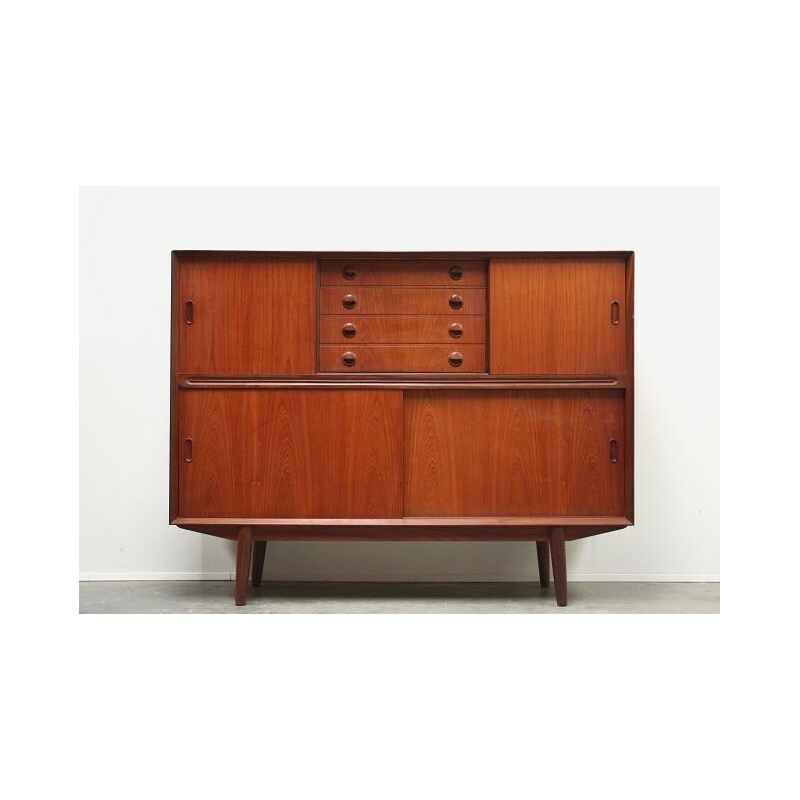 Vintage design high sideboard made in the Clausen & Son furniture factory in Silkeborg, Denmark. 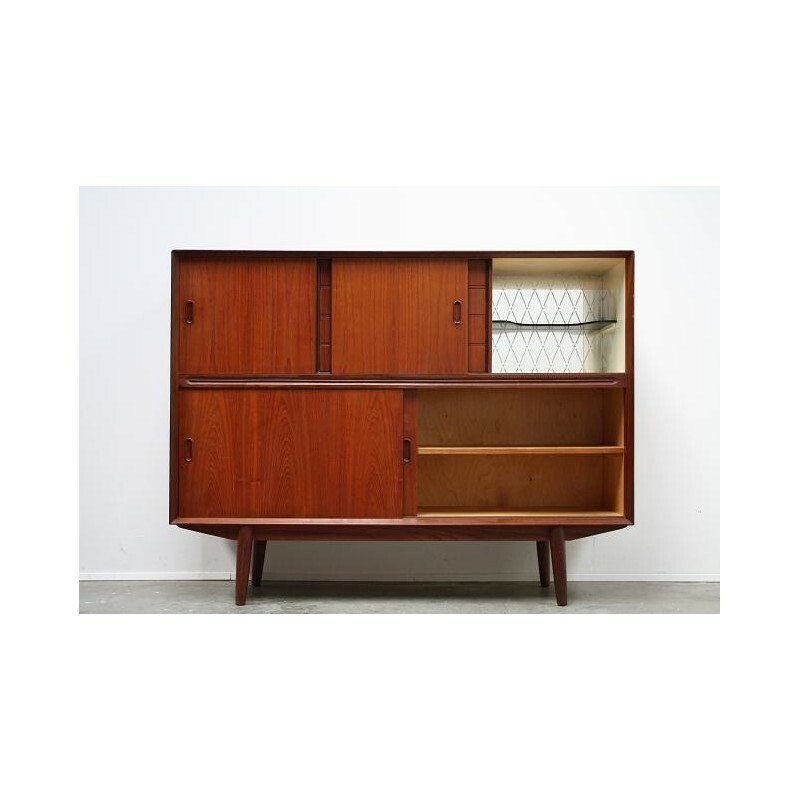 The cabinat has a beautiful detail in the middle. 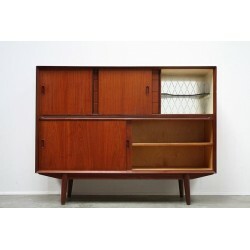 The cabinet has a lot of storage place and there is a small bar with mirror. 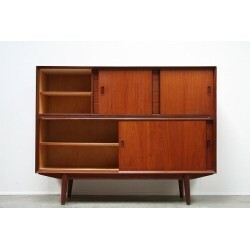 The cabinet is in good condition given its age (see detail picture's).